Recovering after a intense workout or sports activity means more than eating your portion of carbs and protein or getting a massage for your tight and tired muscles. While stretching exercises are beneficial and can help relieve muscle cramps and tightness, a more complex approach is needed for optimal sports recovery and performance. If you’re a professional athlete, you surely know that after an intense training session or match, there is an immediate recovery period which is short term, and also a long-term recovery plan. Both these are crucial for maintaining a strong and healthy body. Often overlooked, the short-term recovery, which is also referred to as active recovery, is of top importance for an athlete, studies suggesting that this form of recovery is even more efficient than rest in maximizing athletic performance. In general, active recovery means low-intensity exercise that is done immediately after a game, and can include the cool-down phase as well as the training sessions done during the days that follow that game. These exercises have to be coupled with proper nutrition, hydration and adequate rest. Sports activities are traumatic experiences for the body, as no matter how much you love playing football or tennis or doing other sports, when you’re a professional athlete your body is exposed to a wide variety of immediate dangers as well as explosive movements that can include a sudden change of direction, tackling, jumping or sprinting. Activities like shooting and passing, as well as the physical contact can lead to muscle fatigue and a decline in physical and muscle performance as a result of intense exercise. At the same time, the different movements performed during a soccer game can lead to specific sports injuries such as ankle sprains, knee injuries like ACL tear, shin splints, hamstring strains or even fractures. As a professional athlete, you have to find a way to manage the recurrent muscle and join pain, bruises, swelling and inflammation. Several studies have found that the physical performance can be impaired for 72 hours or more after a football match, and muscle fatigue, soreness, stiffness and pain can last even longer for players with a congested schedule. To minimize the inflammation and damage, and to recover from the mental fatigue and stress that can be caused by this lifestyle, a combination of recovery methods is necessary in most cases. Whole body vibration has been found to be effective in speeding up recovery from injuries and fractures, but is this form of training suitable for athletes as well? 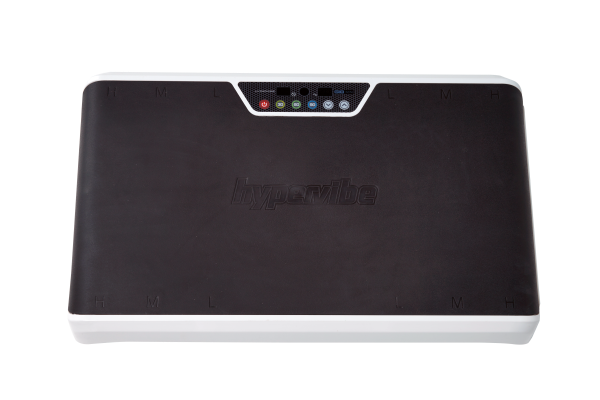 Could soccer players benefit from using a vibration platform? Research indicates that vibration training can indeed speed up recovery after a football game and in combination with traditional cool-down, it can reduce the perceived muscle pain in high-level soccer players. This study conducted by Spanish researchers involved 16 junior soccer players who performed a repeated-sprint ability test, followed by traditional cool-down, with or without whole body vibration. Results showed that the muscle pain was lower and the vertical jump height was recovered earlier in the WBV group. 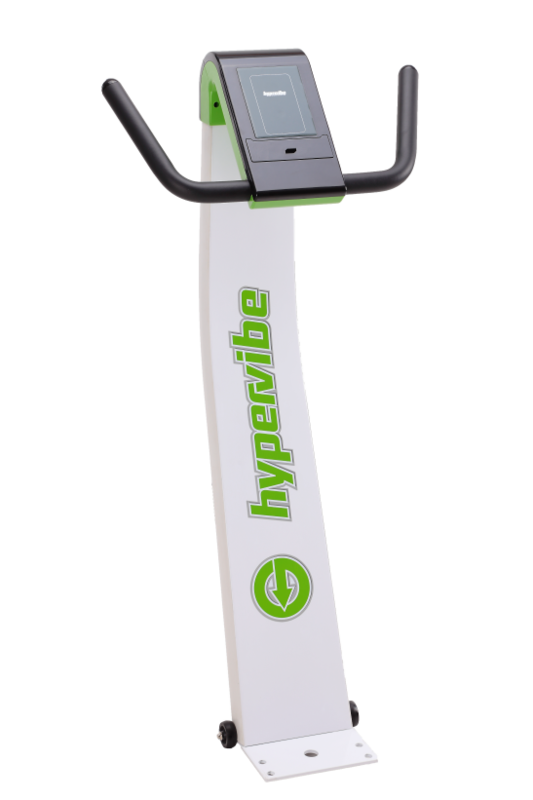 Whole body vibration machines can be used during the cool-down interval, for massage and for increasing circulation and the drainage of lymph. Although massage doesn’t seem to have a direct influence on performance, it does attenuate inflammatory signaling after exercise-induced muscle damage, and decreases the delayed onset muscle soreness, contributing to a faster recovery. 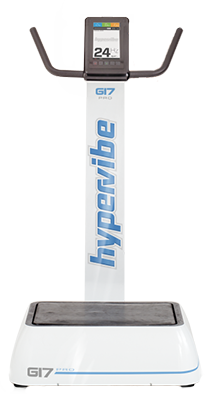 A Hypervibe whole body vibration machine can be used both for training and therapy purposes, so it can be incorporated in the recovery strategy of soccer players for both active recovery and massage. 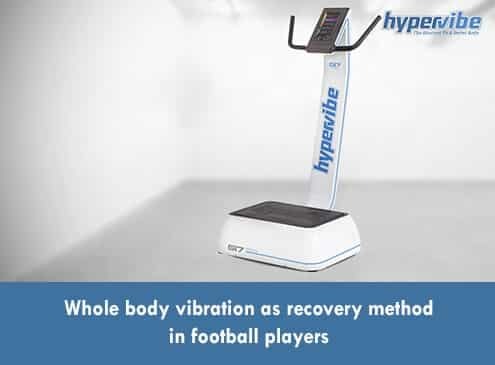 Besides helping one recover faster, whole body vibration can provide additional benefits to soccer players and to athletes in general. This form of training has been found to be effective in strengthening the bones and muscles and in increasing flexibility and range of motion in joints. Also, studies have found that whole body vibration can lead to an increase in muscle activation, bone mineral density and bone mineral content, to better balance and posture. This form of therapy is widely used in treating and preventing osteoporosis and in minimizing the loss of muscles mass in people dealing with sarcopenia. 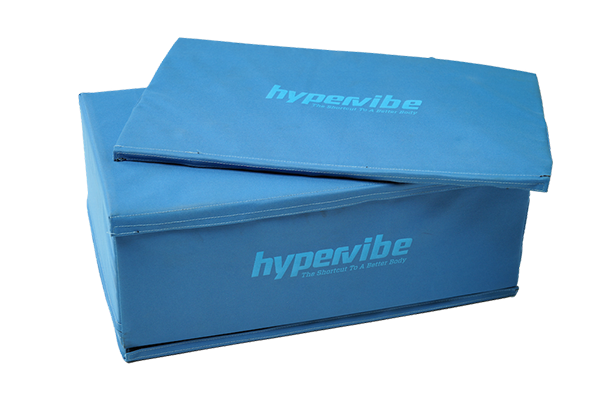 Vibration exercises are used for strengthening the muscles of individuals who recover after an injury, and is known to help in pain management as well. Moreover, workouts done on a vibrating platform can accelerate the recovery after surgical interventions and can help in regulating hormones and boosting the production of growth hormone, which is important for athletes. This form of training helps in reducing high blood pressure and has been found to reduce inflammation, an issue that is common in professional athletes. 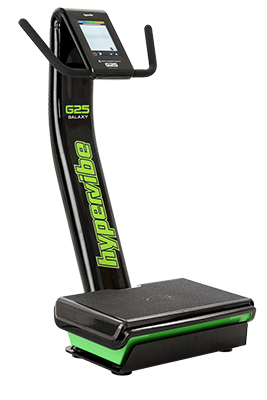 By exercising regularly on a whole body vibration machine, athletes can improve their flexibility and can relieve the tension from muscles, reducing the recovery time. Some studies found vibration training to be effective in improving knee extension maximal strength, flexibility and counter-movement jump in young female athletes, minimizing the risk of muscle-tendon injuries. Have questions or comments? Post them below or join our Facebook community and share your thoughts with us there!